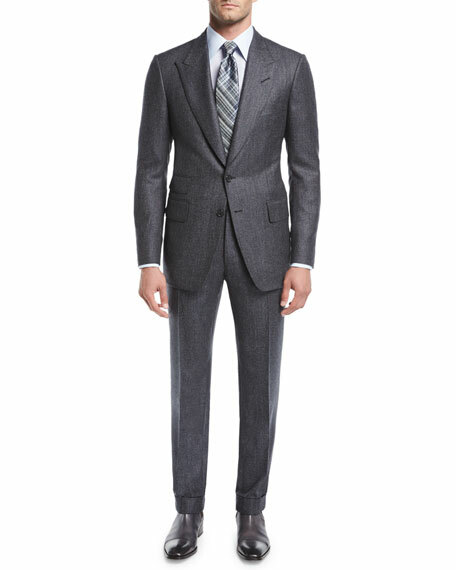 TOM FORD "Shelton" base two-piece suit in salt-and-pepper wool-silk blend. For in-store inquiries, use sku #2223695. 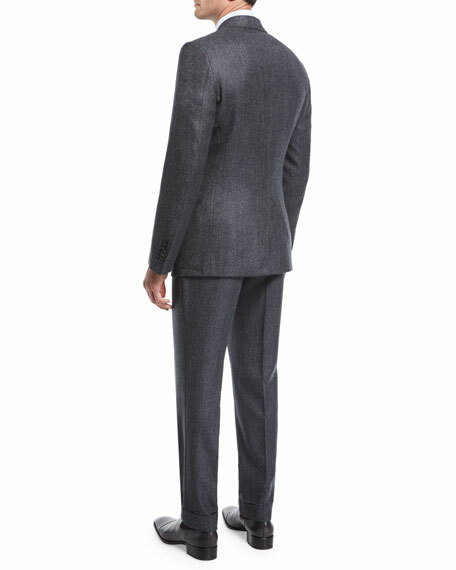 EXCLUSIVELY AT NEIMAN MARCUS Brioni two-piece suit in plaid. Notch lapels; two-button front. Lightly padded shoulder. Welt pocket at chest.